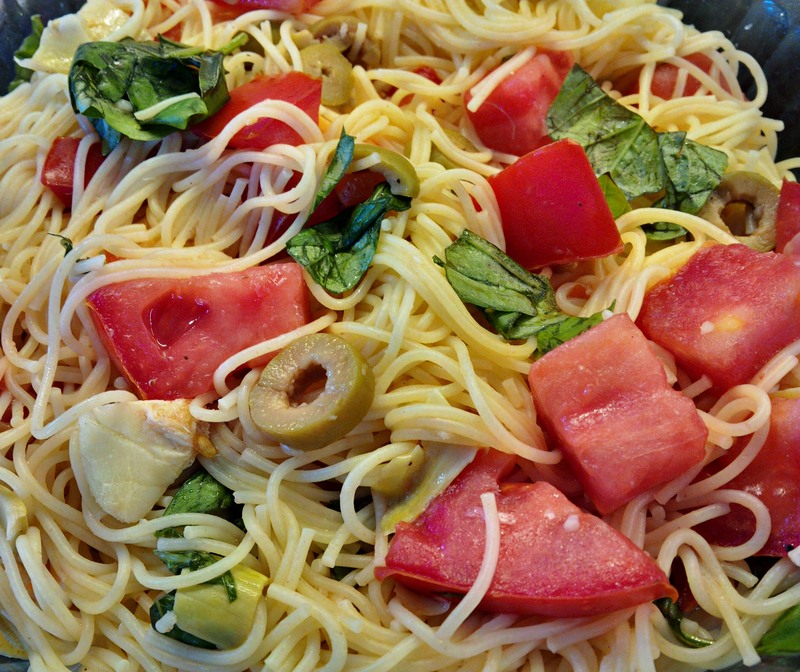 Tomato and basil pasta – easy, fast and fresh! Whatcha going to do with all those beautiful, rosy tomatoes in the garden?? This is one of my longstanding, favourite pasta dishes. Before I went vegan, I ate it with feta or parmesan cheese. Now, I sprinkle it with my vegan version of parmesan. The beauty of this dish is it’s ridiculously easy to make, super fast, and taste like summer time. Using fresh, good quality tomatoes and fresh basil is key. Cook the pasta according to directions. While it’s cooking, chop the tomatoes, artichokes and basil and put in a large bowl. Add the olives, olive oil, minced garlic and toss. When the pasta is done, drain and add to the bowl and toss well. Serve immediately. My mother would actually eat this dish the next day cold as a salad and add cucumbers to it. You could give that a go too. Serve with a good grind of fresh pepper and vegan parmesan. Makes 3 huge or 4 generous servings. Grind everything together in a blender or food processor and store in the fridge in a sealed container. It’ll keep for 2-3 weeks.